International treaties and agreements are between countries — not between leaders or governments, for if that were the case they would not be worth the paper they were written on. The Anti-ballistic Missile Treaty with the Soviet Union was signed in 1972. Bush II withdrew unilaterally in 2001 citing a changed world. On June 1, 2017, Donald Trump announced the U.S. will cease all participation in the Paris Climate Treaty signed two years earlier. On Tuesday last he quit the Iran deal. Two days later, the White House released the date and location of Mr. Trump’s meeting with Kim Jong-Un. One can only wonder what Kim is thinking. The last person voluntarily giving up nuclear weapons received a bayonet colonoscopy — hardly anyone’s preferred exit from this world — and that at the hands of the allies of a Nobel Peace Laureate US president. Fortunately, the circumstances in North Korea’s case are quite different: the other party, South Korea, is stable, seeks closer relations, in fact is the prime mover in the current initiative. On the Iran deal breakup, the fallout is telling. The major European countries (UK, France and Germany) have the most to lose economically — a huge Airbus airplane contract is just one example. Always intended as a bargain, the deal offered Iran re-entry into world commerce in exchange for giving up nuclear ambitions. The U.S. now threatens reprisals against any companies violating its edict: obey U.S. sanctions or else … . The Europeans could choose to present a united front and protect their companies through legislation and similar reprisals. But who wants such an economic war? 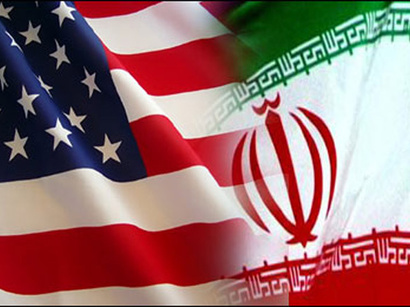 The companies themselves are likely to have commercial interests in the U.S. dwarfing anything in Iran. The European hope lies now in a Trumpian disaster for the Republicans in the November midterm elections followed by ignominious defeat in the presidential election. But elections turn on the unexpected, and these countries’ pusillanimous responses only exposes them to the world as true US vassals. Terminating a peace agreement inevitably raises the prospect of war. It would be a disaster. Iran commands the Strait of Hormuz and a blocked Persian Gulf could see a quadrupling or more in the price of oil, bringing the current economic and stock market boom to a crashing end. Missile attacks from Iran and its ally Hezbollah would cause havoc in Israel’s cities; asymmetric warfare in Syria and Iraq would cost American lives. Doubtless, Iran would be drawn closer into the Russian-Chinese orbit and might even sign a defense pact with Russia — perhaps earlier still if it felt the approaching winds of war. For all these reasons, war may appear to be a long shot, yet Trump’s advisors, notably, John Bolton and Mike Pompeo harbor an irrational hatred towards the country and Benjamin Netanyahu imagines it to be the last viable threat to neutralize. He also has a corruption indictment hanging over him, while Trump has his own legal troubles. On the other hand, a bellicose Trump is just that … bellicose. As with North Korea, he could well be seeking a deal on better terms, namely, more restrictions for Iran in the future. Iran will not surrender its missiles; it might be more accommodating on future enrichment of nuclear fuels. Let’s hope reason prevails … sometimes it does. Look at North Korea!